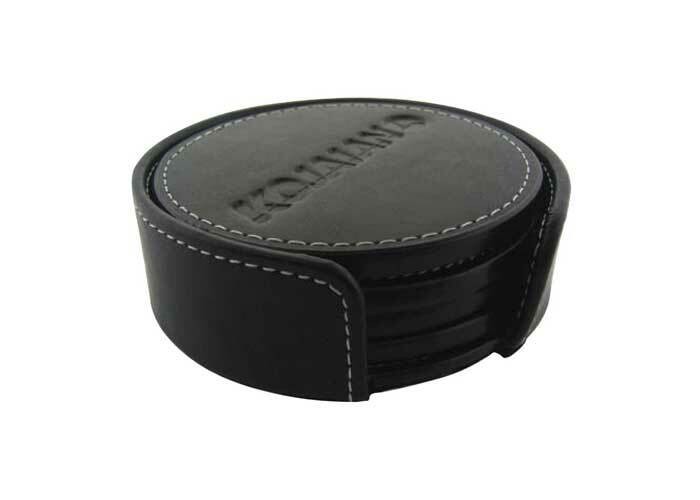 Set of four (4) 3-1/4 cowhide coasters in compact round holder with contrasting white stitching. Includes holder and 4 coasters. • In-stock inventory, black bonded leather only. • For your large program, enquire about optional colors and materials. Minimum order quantity and 90 day lead time applies.